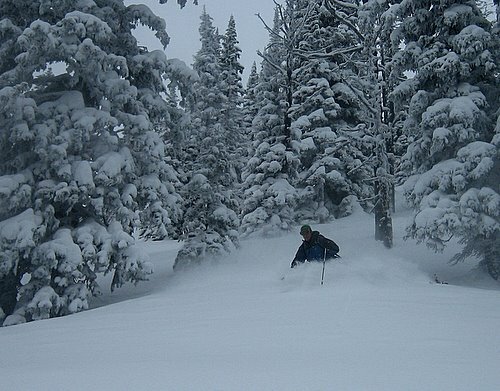 Red Mountain has had enough new snow this week to make the skiing pretty fun, but nothing really substantial yet. 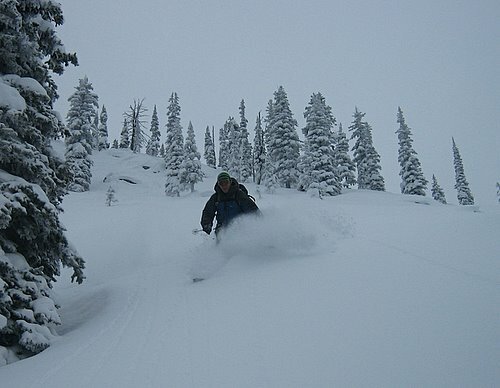 In contrast, it seems just about everywhere else in the region has been getting puked on, so we headed to Kootenay Pass yesterday for a deep powder fix. 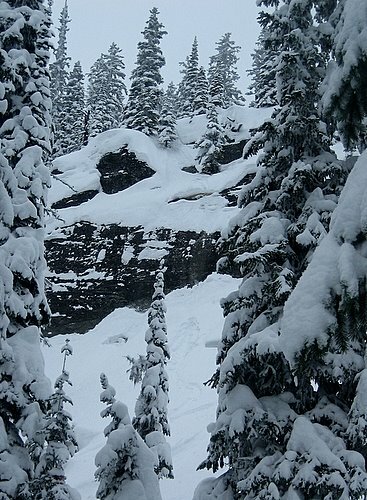 Big drops and soft landings. 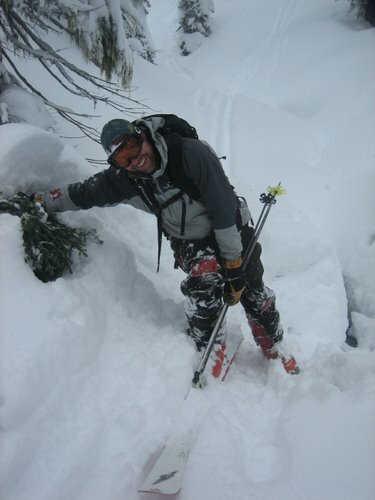 We found consistent knee deep powder everywhere we went, making for perfect turns and energetic trail breaking. The forecast is calling for 30-40cm tonight. Bring it on! That’s more like it! Keep it coing. Hoping to be there b4 too long.